But this guy has gone went a bit too far and got arrested by police in the process. 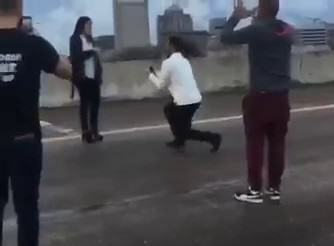 Vidal Valladares Navas, 24, allegedly shut down a busy motorway to propose to his girlfriend and now faces a six month prison sentence, it has been reported. His girlfriend Michelle Wycoff, 23, said ‘yes’- but this act of love has had some rather dire consequences as Vidal was arrested, MailOnline reported. 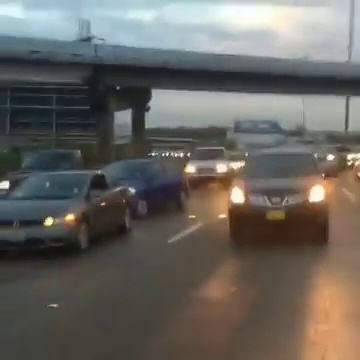 He now faces jail time and a fine of up to $2,000 after being charged with obstructing a roadway, a Class B misdemeanor. Explaining his decision to choose this unusual romantic spot, Vidal spoke of how the two went for a motorbike ride there on their second date. 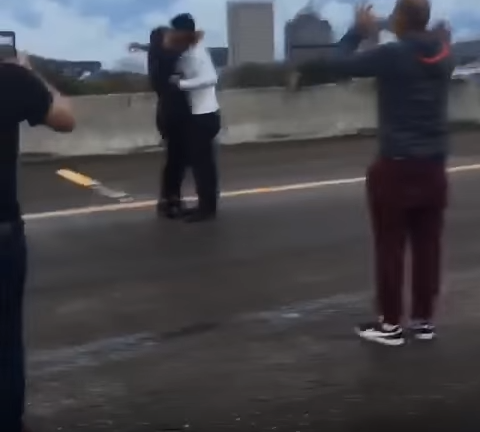 On this occasion it seems his love seriously affected his judgement and he even held up a pregnant woman who was trying to get to a hospital to deliver her baby.